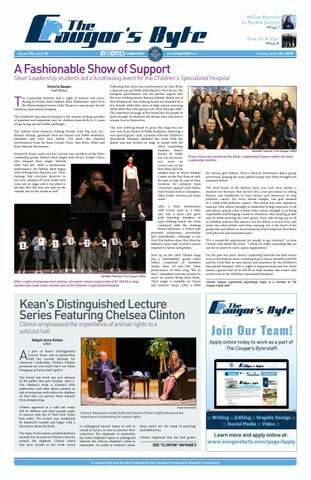 Campus News > Read Up! On Friday, Dec. 14, classes will not be held as part of the University's Reading Day so that students can prep for finals. On Reading Day, classes will not be held to allow students time to study. To compensate, Wednesday, Dec. 12 will follow a Friday class schedule and thus Wednesday classes will not be held. Although classes will not be held, the university will remain operational. Instead of opting to solely use Reading Day to fit in all their studies, students should try to distribute their workload throughout the weeks prior if possible. There are also many resources on campus to help students succeed. Kean University offers two types of tutoring services: the Tutoring and Learning Support Services and the Office of Residential Student Services (RSS) ACCESS Tutoring. 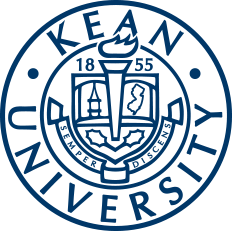 The Tutoring and Learning Services program is held by the Nancy Thompson Library for the availability of all Kean students. This program addresses a wide range of subjects and academic levels for the convenience of students. Both walk-ins and appointments are accepted. Appointments and the schedule of tutors can be found on Tutortrac when students select "Tutoring/Learning Commons" when choosing a program from the drop box titled "Center." ACCESS Tutoring is RSS's own tutor service held within the resident buildings on the second floor of the New Freshman Residence Hall. All tutors for the program are students with at least an A- average in the subjects of math, writing, science and more. The program is scheduled from 7 to 11 p.m. from Sunday through Wednesday and both walk-ins and appointments are welcome. To make an appointment, visit Tutortrac and select "ACCESS." The Writing Center is also a resource for students with final papers, lab reports and more. Kean faculty and staff will help students go over their papers and improve them. Appointments can be made through Tutortrac and by selecting "Writing_Center" and are held at the Nancy Thompson Library Room 108. Students with final speeches and presentations may also find the Speech Lab useful. Specialists help students to practice and perfect their speaking skills during the 45-minute sessions. Appointments can be made through Tutortrac and by selecting "Speech Lab." The Speech Lab is located in the Nancy Thompson Library Learning Commons building, Room 114A with flexible hours to meet the needs of students’ schedules. For more information, call (908) 737-4604 or stop by Room 114A. Staying consistent where one studies may help students easily get back into the studying mentality. Choosing a neat and quiet space may also help oneself to concentrate and stay working efficiently. Students should consider reviewing chunks of their notes throughout the week as opposed to cramming everything into one sitting. In doing so, their brains won't get as fatigued by the stress. Similarly, students opting to do long study sessions instead should remember to take breaks as to not overload themselves with information. Students may find it beneficial to prioritize objectives appropriately as to get work done more efficiently. In doing so, students practice better time management, which may reduce their levels of stress or make workloads easier to balance. A popular study strategy is by way of explaining material to others. Explaining aloud may help students to work through and connect concepts. When one is finally able to teach a subject in an understandable manner, one will likely have finally been able to fully comprehend the material. Good luck to all Kean Cougars this finals week!